Panel of OhMiBod BlueMotion Nex 1 and Nex 2. Flyer of Freestyle :W by OhMiBod. Display for blueMotion Nex 1 and Nex 2 by OhMiBod. Intimacy removes all boundaries…So does a good snuggle. Our dual stimulation massager nestles against your most sensitive spots to help you reach new heights of pleasure and explore new depths of passion. Life is best when you live for the journey, not the destination. This powerful external stimulator feeds your sense of wanderlust with seven preset, scalable pulsations. Always remember: not all who wander are lost. Some of us just love to take the scenic route. Double your pleasure and double the fun with OhMiBod’s Freestyle :W. Inspired by the power and shape of a cresting wave, this vibe is OhMiBod’s answer to the traditional dual-stem "Rabbit" style vibe. 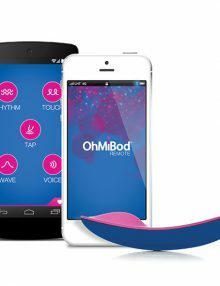 Combining its two powerful motors with either pre-programmed patterns, music from your player or the OhMiBod App really makes this OhMiBod’s most versatile vibe yet. 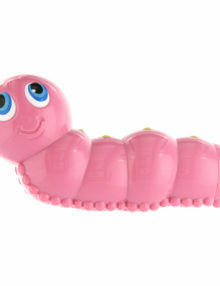 The soft silicone of the vibe and its intuitive controls makes the Freestyle :W a truly wonderful experience.